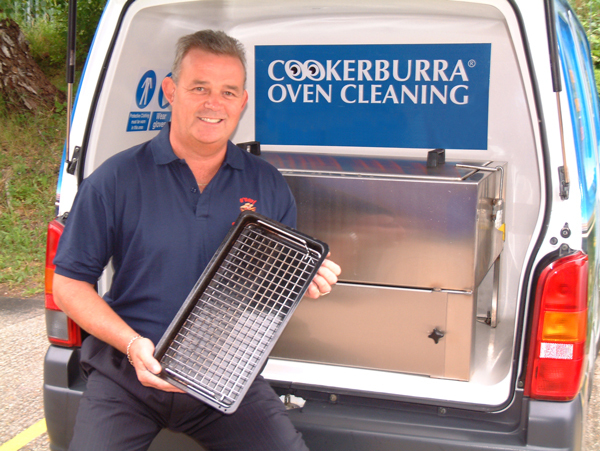 Trading since 1993, Cookerburra are the longest established professional oven cleaning service in the UK. Over the years our unique oven cleaning system has been refined and developed to provide our customers with a fast, efficient and service that works. As a leading domestic oven cleaning company, with a wealth of experience, we provide a superior, professional oven cleaning service for both new and existing customers throughout the country. 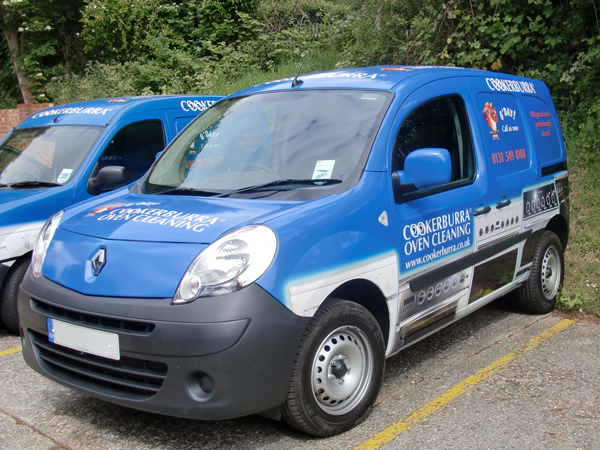 Using our specially formulated "own brand" products, together with the most comprehensive cleaning techniques, this allows our technicians to remove the build up of carbon and grease in approximately 2 hours. Using our modern "on van" decarbonising solution tank, means that most of the dirty work is carried out away from the kitchen, leaving just the shell of the oven and hob to clean. Our aim is to return your oven to as near new condition along with any other kitchen appliance such as extractor fan, microwaves and barbeques. To find out more, contact your local Cookerburra Oven Cleaning operator. Ovens cleaned by Cookerburra to date!